Performance Metal Roofing | Chimney Cap | ME and NHPerformance Roofing, Inc. Performance Metal Roofing has been in the roofing business for over 3 generations. A Performance Metal Roofing contractor can provide shingle, tile, metal and other types of roofing for homeowners. 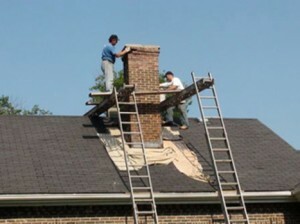 Chimney Cap Repairs are, unfortunately, all too common. Many things can lead to the need for a Chimney Repairs, but the most common are leaks, weather wear and tear and tree limbs. Repairs can also be necessary as a result of poor installation, malfunction, or age. Chimney Cap Repairs happen to roofs primarily as they age, but can also be caused by neglect or poor installation. Leaks can cause damage not only to your roof, but also to the interior of your house. They’re most commonly found around openings such as skylights, chimneys, dormers and roof/wall intersections. Leaks in these places are commonly caused by worn or poorly installed flashing. Roofs also occasionally need repairs for damage caused by the weather. Wind driven rain, ice and hail can all cause damage, with harsh winters and heavy snow being a big concern. Many leaks also will not be detected until the region receives a large amount of rain, or a torrential downpour. In Maine and New Hampshire, it’s common for leaks to go undetected throughout the dry summer, only to be found once the fall rains begin. Trees are usually great for around your home, but not in your home. Beautiful Trees can increase curbside value and help cool your house in the summertime. However, trees can also cause a lot of roof damage in the form of consistent rubbing, broken limbs on the roof (causing undesired weight) and broken limbs going through the roof. Why Maine and New Hampshire Should Hire Us for Chimney Cap Repairs?